In one of its reviews, the Margaritaville Bahamas has been tagged as a "vacation in a box." 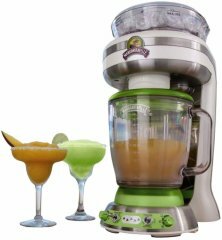 It seems difficult to run out of positive nicknames for this margarita blender -- seeing that, as of this writing, reviews giving it 3 stars and below make up only around 5 percent of its Amazon reviews -- quite a good standing in any category. Many customers have described their adventures with this model as a no-brainer experience. Appreciation for the included mixer jar, which is pretty much a mixing guide for different recipes (like pina coladas and daiquiris), come aplenty. The customer feedback we've seen make it appear as if the thing is insanely easy to use (so it's highly unlikely that it'll end up being a party pooper). Volumes of buyers have also remarked that the thing is generally easy to set up, operate, and clean up. While people raving about the fact that this margarita mixer machine produces drinks with shaved ice (as opposed to crushed ice) also make up the majority of its 307 reviews, it's worth knowing that some customers have also pointed out that the shaved ice isn't as smooth as restaurant-quality beverages -- pretty close, but not quite the same. A number of consumers have also experienced getting ice stuck in the shaving chamber while operating the Margaritaville Bahamas, although they are very few in number. 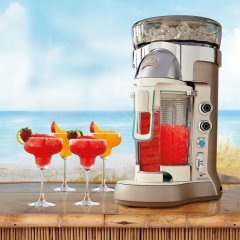 All in all, this 4.5-star frozen margarita machine has undeniably swept a great number of people off their feet, meriting it the title of the best of the bunch (Learn how we rank items) with 98 confidencde (More on confidence levels). Because of 4 stars derived from 202 reviews, here is second best margarita machine. * By the way, this list is based on a full aggregation of hundreds of margarita machine reviews from across the web. 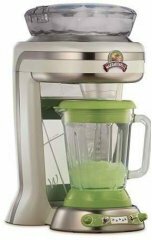 The MMB145 is a 48-ounce blender meant to prepare Margarita drinks that has a peak horsepower of two and that Waring claims to blend ice into snow in less than eight seconds with its user-replaceable blades. 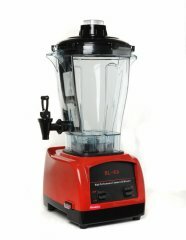 The DM1595 is a 54-ounce margarita blender with a jumbo blending jar and two toggle switches, one for automatic shave-and-blend and another one for manual shaving and blending, as well as an ice selector dial. The Margarita Machine is a simple-looking 1.5-gallon blender with limited specs and a 1600-watt motor that seems to specialize in margaritas and slushies. The Margaritaville Explorer Cordless NBMGDM0990-000 has no need for electric sockets as it is operated by an 18-volt battery, which also allows portability. The MMB142 is a high-powered margarita blender that may be used for preparing frozen concoctions and food at 24,500 rotations per minute. The Explorer Cordless NBMGDM0900-000 features the Margaritaville signature shave-and-blend technology that shaves the ice before blending it to the other ingredients. The (rating temporarily unavailable)-star Margaritaville Tahiti DM3000 has certainly been a conversation piece for many of the people who own it. Aside from obviously having three jars for making three different drinks at once, the product comes with fancy lighting effects for added character. It appears like people generally have had great experiences with this frozen margarita machine, but it doesn't come without its own share of criticism. People say that there's a slight learning curve to using this margarita blender, so if you plan to use it for a party, it's best if you practice whipping out a few drinks beforehand. Also, because of this, an "untrained" party guest can't simply walk in and make the beverage of his choice. It also appears to tend to run into a few hiccups if blobs of ice bigger than the normal ice cube are loaded into the chute -- which, by the way, has been praised a ton for its large capacity (144 ounces, specifically). Consumers have also reported that this thing isn't the easiest frozen drink blender to clean. While it may require some practice at first, customers say that it consistently produces great drinks once one gets the hang of operating this device. The function of adding more ice and then re-blending received quite a lot of compliments, as well as the reservoir that automatically collects water. Countless people have also gone on and on about how smooth the resulting drink turns out, and that the six options that this model comes with have definitely been a big hit. This margarita mixer machine may have been impressive to a lot of people, but it may have been edged out by the competition in some of the aforementioned departments, seeing that it failed to land a place in our list of the top 4 frozen margarita machines. The Margaritaville Fiji DM2000's larger footprint certainly draws in more attention -- and I said more, because it's apparently already beautiful and attention-grabbing in terms of design. And according to reviews, it works as good as it looks . The ice reservoir on this margarita maker is sizable enough to make almost two full pitchers, and this is one of the obvious advantages of it being such a big machine. One would naturally worry that having this much ice stored in the reservoir would potentially lead to melted ice dripping into your drink and diluting the flavor, but Margaritaville obviously thought ahead and installed a drip-off collector to address this would-be problem. People also loved that using the machine feels forgiving, in spite of having to get used to the appropriate ingredient ratios. While we all know that everyone loves a good party (except maybe if you're an introvert? ), everyone certainly dreads the cleanup involved right after. As such, many customers found it comforting that this frozen margarita machine is a breeze to take apart and clean. Perhaps the most common complaint we've seen for this margarita mixer machine is that it doesn't mix in as much shaved ice into drinks as what the general public would have preferred. Fortunately, there's an option to manually increase the proportion of shaved ice using a controller. And for many customers, it looks like this extra step doesn't make the Fiji any less worth the money. For many of its customers, the Margaritaville Key West DM1000 brings added life to any party. Not only does it, of course, make margaritas -- its entire design, from the glass jar to the fancy lights that flash during use, reportedly turns beverage-making from a mere process to a complete show. Many people also seem to agree that it's able to shave and blend ice to a satisfying level of smoothness. 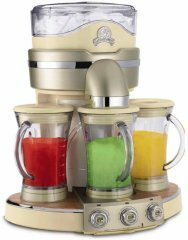 This frozen margarita machine's three modes -- shave and blend, shave only, and blend only -- have also added a touch of versatility that many consumers appear to have appreciated. While the margarita mixer machine has been generally perceived to be well-constructed and "ready for some serious use," its capacity may be an issue during certain circumstances . The 36-ounce jar is probably more than enough for normal use, but people did report wishing for a more accommodating blender once they found themselves entertaining a larger party. For context, the average blender has around 48 ounces of capacity. Lastly, leftover ice has apparently been a bit harder than ideal to remove from the chute, so people have resorted to simply shaving whatever contents are left in the ice container, and then discarding the product from the jar itself. A small number of people have also tagged this device as messy, but there are also many other people who disagree -- so perhaps it generally boils down to how it is used.